Modern Version of a Classic! 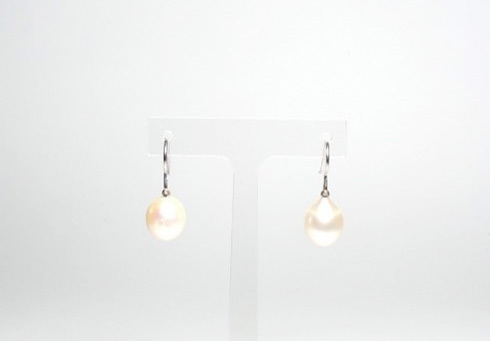 Classic and minimalist natural oval pearl earrings with a small silver loop and a choice of silver or gold hooks. The perfect accessory to add a classy feminine touch to any outfit. The pearl will hang flexibly just below the ear lobe. 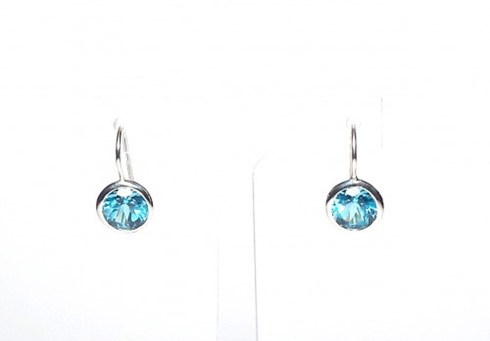 The earrings will come with a transparent earring back to ensure security and comfort. Please keep in mind that the pearls are natural products. While the pearls in a pair are very similar, they will not be entirely identical but naturally beautiful. The pearl earrings are handmade, hallmarked by the Assay Office London and carry the maker’s mark ‘MMzS’. 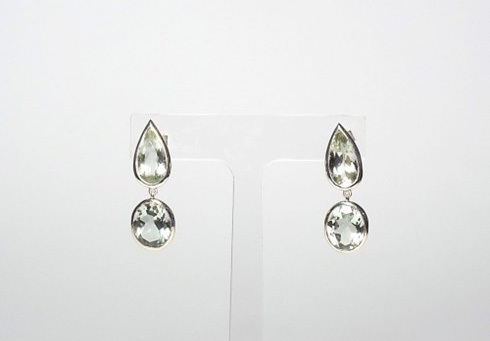 Dimensions: 9mm pearl width, altogether 2.7cm drop. Material: natural pearl and 925 sterling silver or 9ct yellow gold.